Some classes are faster than others. E.g. A Laser is faster than a Topper. To enable boats from different classes to compete against each other in the same race classes are given a Portsmouth Yardstick Number (PN). These PNs are used to calculate a corrected time from the elapsed time. The person with the lowest corrected time is the winner and so on. How have UTLSC PNs been set in the past? For several years the RYA has been providing National PNs for each class based on data from many sailing clubs. 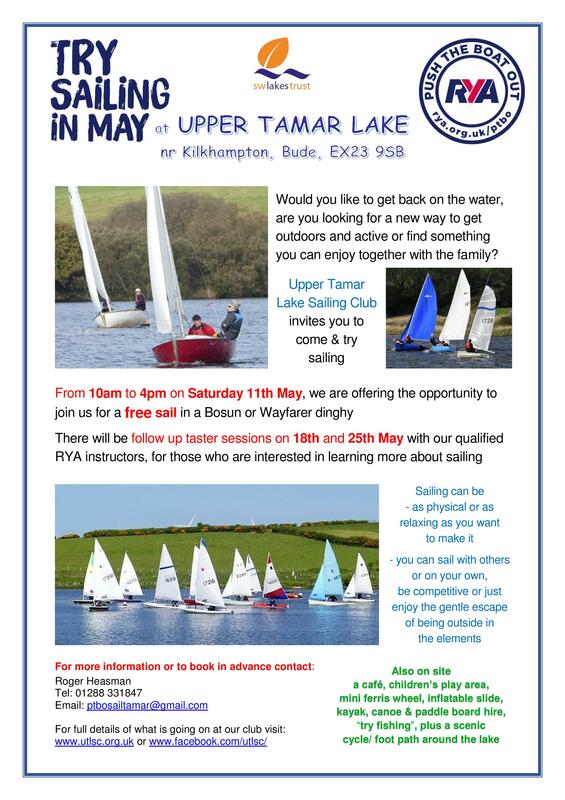 UTLSC has been uploading results to the RYA since 2013. The RYA provides an analysis tool that gives a Suggested PN for each class based on UTLSC data alone. At the same time the RYA recognises that if there is insufficient data provided the Suggested PN is not statistically sound, so they also provide a Confidence Limit for each class based on the volume and stability of the data. From 2015, at the recommendation of the RYA, UTLSC decided to use the Suggested PNs and Confidence Limits to calculate the UTLSC PNs for the following year. The UTLSC PN moves from last year’s UTLSC PN towards the Suggested PN according to the Confidence Limit. However if the Confidence Limit is 0 the National PN is used. How have UTLSC PNs been set for 2019? There has been concern that we are not making best use of the data collected nationally. So, with approval from the RYA, the committee has decided to calculate the 2019 UTLSC PNs by moving from the National PNs towards the Suggested PN according to the Confidence Limit. The Suggested PNs and Confidence Limits will be based on 2013-2018 UTLSC race results.